Oklahoma was infusing itself into me. The air, the scent of clay-filled dirt and pecans ready to be picked, circulated in my lungs and warmth of the people everywhere we went was welcoming. Even though the sky was overcast, I was still feeling the rays of yesterday’s sun. 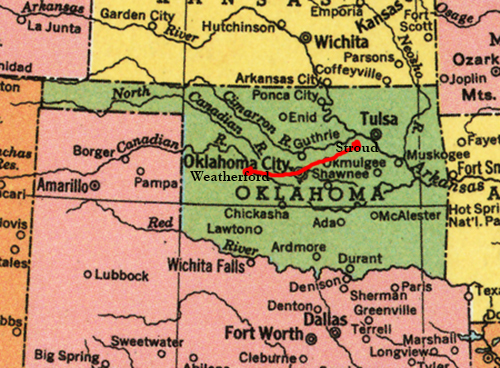 Our first pull-over was into the driveway of one of 66’s most famous icons—the Blue Whale of Catoosa, Oklahoma.